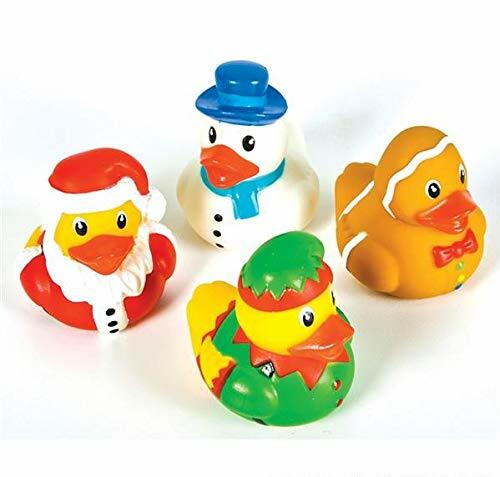 Holiday Toys Rubber Duckies - Great Stocking Stuffers. 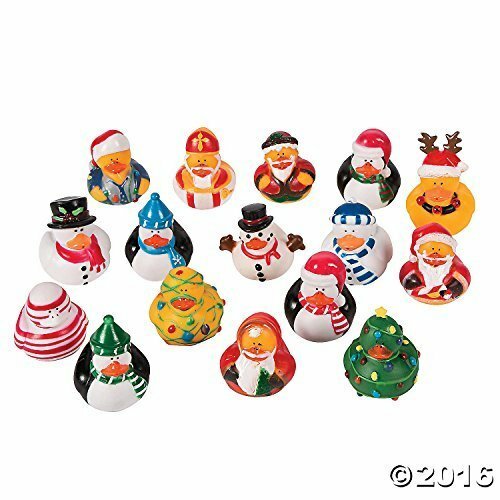 12 Christmas Lights Rubber Duckies. Looks like these ducks could use a Christmas vacation! 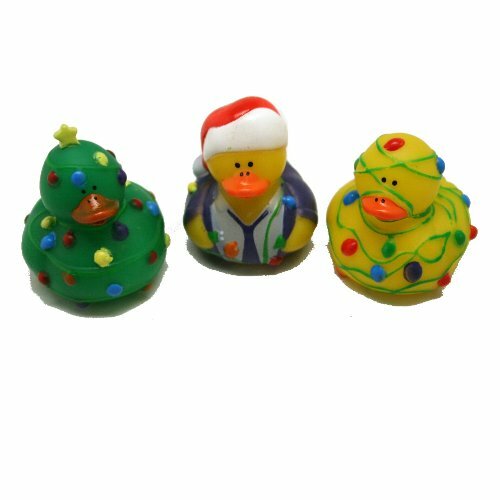 Christmas Lights Rubber Duckies feature a duck tangled in strands of lights, a Christmas tree duck and a duck in a shirt, tie and Santa hat. Vinyl. 2 1/4" Duckies do not float upright. 3 assorted styles. 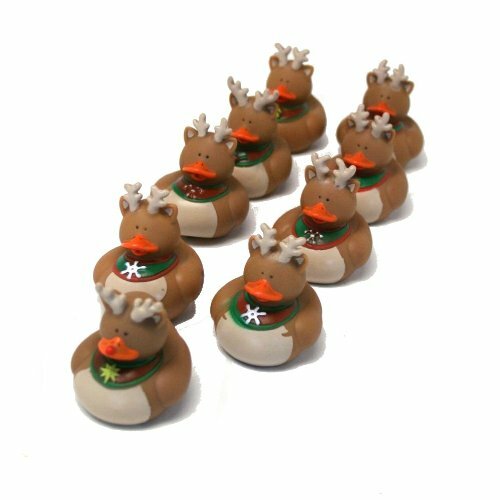 Add a little pizzazz to your dessert or hors d'oeuvre tray this Christmas with these adorable little holiday ducks. Dressed as Santa's reindeers, these cuties measure approx. 3" tall. They don't squeak but they do have a tiny hole in the beak so they can squirt water in the tub. They do not float upright. Great for stocking stuffers, preschool holiday parties, or pass them out to your young guests at your Christmas party. These are not guaranteed to float upright in water. 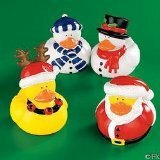 Holiday Rubber Duckies. 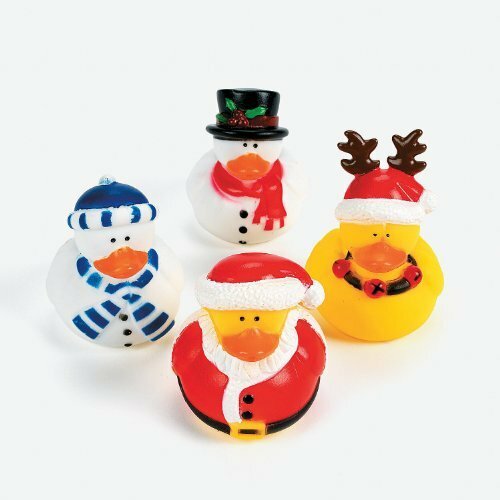 Not your everyday rubber quacker, these vinyl duckies are all dressed up as Santa's, reindeer and snowmen for the holidays! Use them as Christmas stocking stuffers and Christmas party favors and remember to put a few in the guest bathroom to amuse your holiday guests. Assorted styles. 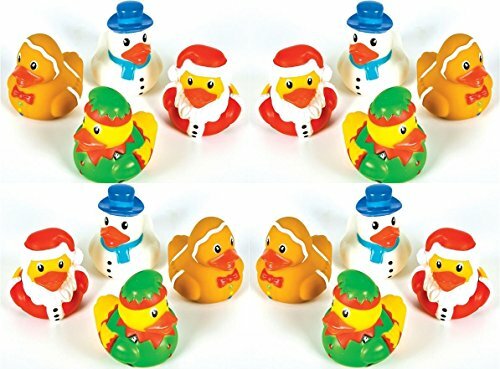 Set of 12 Vintage toy theme ducks makes great Christmas party favorsor Christmas decor.Receive an assortment of 12 ducks. 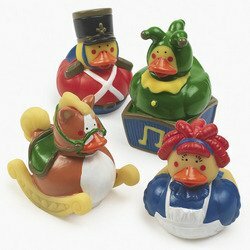 Each duck measures approximately 2" x 2" x 2.5".